It can feel chilly up in the mountains–even when the sun is shining. 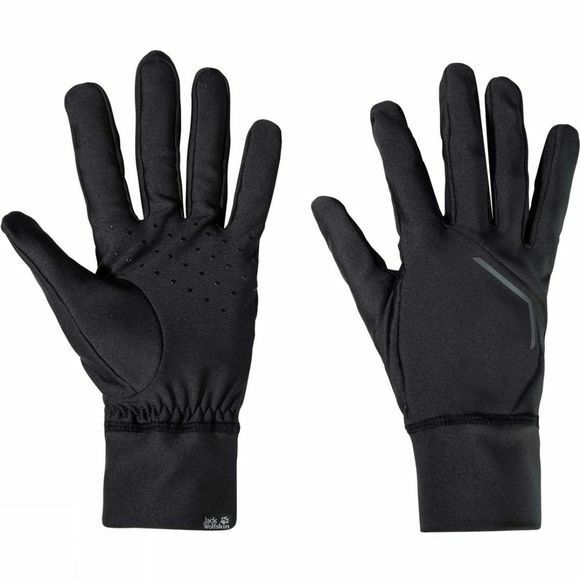 The Athletic Glove from Jack Wolfskin keeps your hands warm and prevents sunburn. The UV protection is a practical feature if you are using trekking poles. They are made from a super stretchy and soft fabric, so the feel and the fit are both superb.